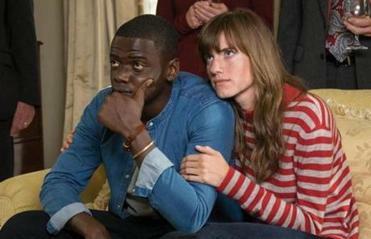 Jordan Peele’s horror flick ‘‘Get Out’’ is among the year’s biggest breakout hits. And with it, Peele has also surpassed a benchmark for box-office success. ‘‘Get Out’’ has now earned more than $100 million at the box office, making Peele the first African-American writer-director to pass that threshold with his debut feature film. As Blackfilm.com points out, other black directors have seen their feature debuts go on to earn $100 million -- Clark Johnson’s 2003 film ‘‘S.W.A.T.’’ grossed nearly $117 million -- but none have done it with their own screenplays. What’s in the basement of ‘Get Out’? A metaphor. Viewers of this horror movie aren’t just having a good scream, they’re also confronted with a subversive message about race. 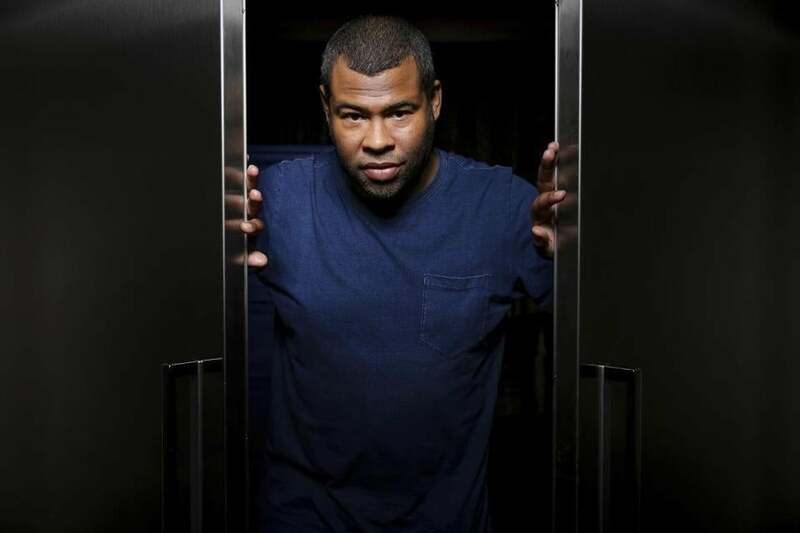 Peele reached the $100 million milestone in just 16 days, which also makes ‘‘Get Out’’ the fastest film from production company Blumhouse to hit that mark, according to Deadline. Typically, horror movies make most of their money during opening weekend and then fall off quickly. But ‘‘Get Out’’ proved to have atypical staying power, with only slight dips in ticket sales. It currently ranks as the fifth highest-grossing film of the year. And ‘‘Get Out’’ achieved all this on just a $4.5 million budget and a lead cast devoid of big names. While Hollywood continues to debate diversity (or rather, lack thereof), the success of ‘‘Get Out’’ is another addition to the list of recent films directed, written by or starring African-Americans that have gone on to become major surprise hits, commercially or critically -- sometimes both. ‘‘Moonlight,’’ which was directed by Barry Jenkins and adapted from Tarell Alvin McCraney’s play, ‘‘In Moonlight Black Boys Look Blue,’’ won the Oscar for best picture, best adapted screenplay and best supporting actor for Mahershala Ali’s performance. In 2016, word broke that Ava DuVernay would direct Disney’s ‘‘A Wrinkle in Time,’’ making her the first black woman to direct a live-action film with a budget exceeding $100 million. ‘‘Hidden Figures’’ earned nearly $163 million last year -- and it beat out action and superhero flicks in the process. Yes, a movie about black female mathematicians at NASA made more money at the box office than the latest installments in the Jason Bourne, Star Trek and X-Men franchises. And it was the highest-grossing film to be nominated for a best-picture Academy Award. The success of ‘‘Hidden Figures’’ prompted its stars to point out that movies focused on black women’s stories and starring black women are not inherent commercial risks. She’s not wrong. Movies with racial and ethnic diversity more reflective of America’s demographics actually perform better on average, according to the latest report on diversity in Hollywood from the Ralph J. Bunche Center for African American Studies at UCLA. Still, there are far fewer films with non-whites in major positions. The report, which analyzed top theatrical releases in 2015, found just about 10 percent had non-white directors, and about 5 percent had non-white writers. ‘‘Very often, the people they know share their skin tone. In 2013, more than 92 percent of movie studios’ senior executives, 82 percent of film directors and 88 percent of film writers were white, UCLA researchers said. So go ahead and add Peele’s success to the small but growing list of other recent smash hits from black artists in the movie industry. As he wrote, he will likely be the first of other black writer-directors to hit that $100 million benchmark -- as long as they get to make their movies in the first place.